Add the right cover on your iPhone 6 and you will not have to worry about keeping it new for long. These expensive gadgets come with a hard metal body and a high quality glass screen, but even after that, they often lose their new look with time due to rigorous usage. This beautiful golden glitter cover case for iPhone 6 can make a perfect companion for your sophisticated gadget. This premium quality cover gives complete protection to your iPhone from dust and also works effectively to absorb the impact of any drop. The cover can also be used for keeping your cards. This designer iPhone 6 cover can add the best look to your phone. The cover is stylish, ultra slim and lightweight and comes with full wrap image finish. It can provide protection from scratches and bumps and has perfect cut outs for easy access to all the ports and buttons of the phone. 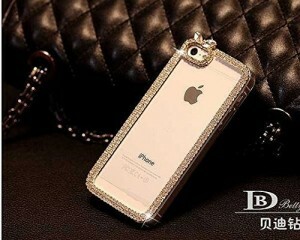 This crystal bling hard case for iPhone 6 can provide protection to your iPhone from finger prints, scratches and dust. The case looks gorgeous and unique with all the bling crystal decorations and includes cut outs for easy access to buttons and slots. It is a handmade product and ensures to provide the best service for long. 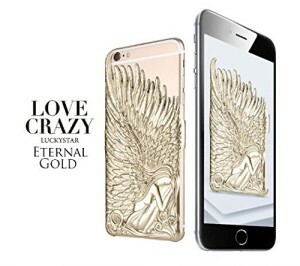 This designer angel wings back case comes with a clear protective layer to ensure that your phone does not get any scratches. The product is durable, has a nice sheen of its own and can absorb shock effectively, keeping your mobile safe from the impact of drops. 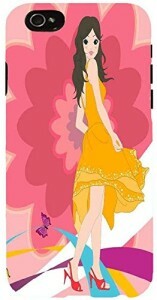 Give your iPhone the best protection and also make your own statement with this uniquely captioned iPhone case cover. The case has a slim fit and is light in weight. Use of thermal printing technology ensures the best longevity of the print. This premium quality iPhone case provides easy access to ports, sensors and controls of the device. If you are looking for a trendy and girly iPhone 6 case this gorgeous pink case cover can fill your needs. This designer, premium quality phone cover comes with a gorgeous finish and fits perfectly on iPhone 6, giving it protection from dust, scratches and impacts. The product is made from 100% polycarbonate and the superior print quality ensures that the color will not fade away. This luxurious premium quality book cover case comes with a unique design and color. This wallet case is handmade and has been intricately stitched. The cover includes PVC made hard back case to ensure the best protection from impacts. The case can also hold your cards and currencies along with your phone. This iPhone 6 cover is from the Apple mania series of the brand. 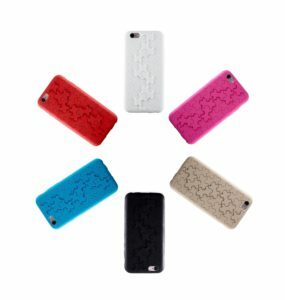 The case has a high density soft texture design which ensures the best protection for your iPhone. The edges of this cover have been made thicker than its back to make it ideal for shock absorbing. Inside of the case has a textured pattern that prevents buildup of moisture on the case. This handmade, rhinestone studded iPhone 6 cover case has a unique girly look to it. The cover has a sleek look and can protect your phone from dust, scratches and finger prints. It can be easily installed and removed from the phone. The case cover comes with intelligently placed cut outs that provide easy access to the buttons and ports. 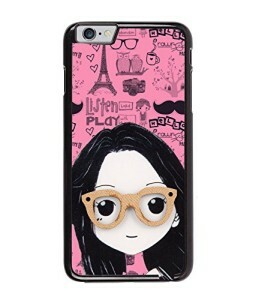 This beautiful doll print iPhone case has been designed particularly for iPhone 6 and hence it gives a perfect fit for this particular gadget. The print has been done through advanced technology which ensures best durability. This hard shell iPhone case is easy to install and remove and is very lightweight. This gorgeous handmade iPhone case has all the bling to it. It comes studded with rhinestones and all the decorations to give it a perfect Cinderella theme. 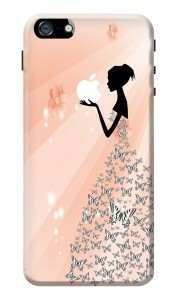 This unique designer case can be a valued possession in itself and can also provide protection to your iPhone. 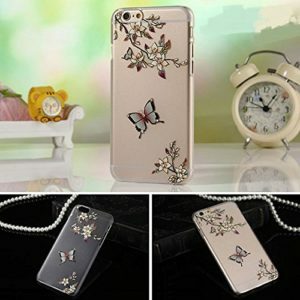 This soft case cover has been precisely made to match with all the features of the iPhone 6 devices. It is made from soft rubber material which gives it high durability along with a dent free long life. 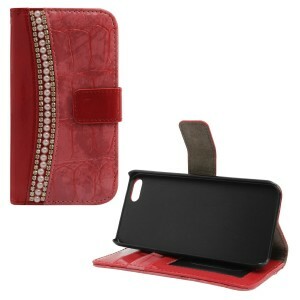 The case is perfectly suitable for giving all round protection to your device. 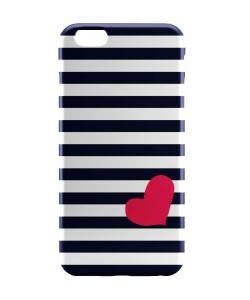 This premium quality iPhone case comes in a royal blue color with all over polka dots. The product is ultra slim, stylish and fits perfectly on iPhone 6. This full cover case provides protection to your iPhone from scratches, finger prints and impacts. This lightweight case is highly durable and comes with perfect cut-outs. 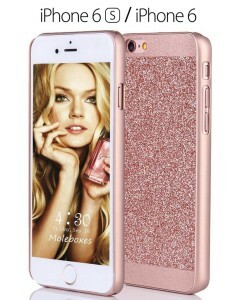 This pink colored iPhone 6 cover is made from premium quality material and is decorated with original crystal elements. It comes with anti-scratch coating and provides coverage to your device from shock. The case has precise openings and can be installed and removed with ease. Protect your iPhone from dirt, scratches and spills with this iPhone cover. The case also provides protection to the screen of the phone. 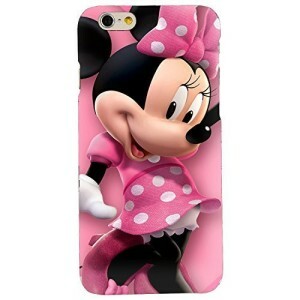 The case comes with best quality all side printing that is guaranteed for life time. The printed image has a high resolution and it guarantees 100% satisfaction. This high quality polycarbonate made case is form fitted for iPhone 6. It is sleek and lightweight and hence with this cover you will not even feel the weight of a cover on your phone. The product has high quality print that offers maximum durability and a matte finish which makes it easy to grip. This elegant back case cover comes with metal insert print which gives it a unique look. 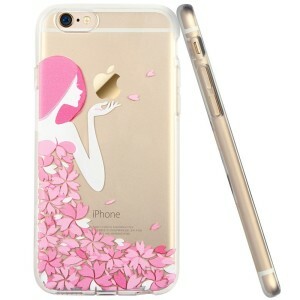 This designer mobile case provides dust protection and coverage against scratches and impacts. It has précised cut outs and a perfect fit on iPhone 6. This urban girl iPhone case cover is made from the best quality material and the print on the back case comes with lifetime warranty. The product is slim and lightweight and provides complete protection to your device from spills, finger prints, dirt and scratches. It has a précised cut-out design. 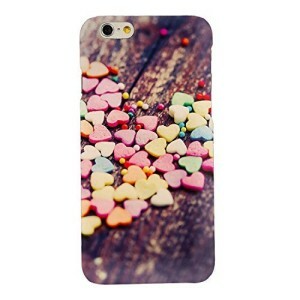 This back cover comes with a cute high quality print that is sure to be loved by girls. This cover is form fitted for iPhone 6 and 6S and can actually add that girly touch to your device. The cover is easy to install and remove and it can offer nice protection to your device from scratches and accidental drops. The back cover is 3D printed which gives the perfect look as well as long life. This printed back cover case comes with precision cut outs for iPhone 6 and 6S. The cover is resistant to scratch and the 3D print also ensures that there is no fading over time. This cover gives your device complete protection from dust, spills and stains. It is designed to provide an easy grip thus reducing the chance of accidental drops. This shiny glitter back case for iPhone 6 and 6s is thin and lightweight which provides bulk free protection to your device. 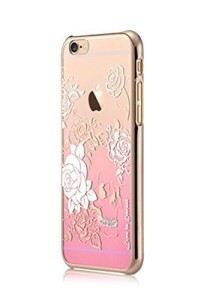 The rose gold color of the cover added with the glittery finish gives it the perfect girly look. It has precision cutouts and can be ideal to protect your device from dust, scratches, spills and shocks. The cover is also long lasting. Give a stylish look to your sophisticated gadget with this 3D puzzle design silicone case that can give your phone the required protection as well as a unique look. The case has been engineered precisely and fits the iPhone 6 and 6s perfectly giving a compact finish. It is slim, sleek and soft to touch. This cover also ensures a better grip on the device reducing the chance of accidental drop. The elevated edge of the cover ensures better protection of the screen. Add bling to your device with this ultra-thin, transparent and soft mobile back cover which does not hide the beauty of your expensive device. The cover is high quality 3D printed and comes studded with rhinestones which add to the overall look. It is made from soft TPU and is resistant from scratch. This cover can give your device great protection from dust, scratches and even liquid spills. The precision cutouts and the snug fit are the other points to mention.